WHO SHOULD READ THE BLACK SWAN EFFECT? The term “black swan” was common in sixteenth century London. Everyone knew swans were white, and black swans presumably did not exist, so the term came to mean something farfetched, not real. However, in 1636, a Dutch explorer discovered nomadic, red-billed black swans in Western Australia. All of a sudden, black swans were no longer an impossibility, and the meaning of the term changed from something farfetched to something once thought of as farfetched, but now known as reality. Today, there is a well-known species of black swans. All it took was one black swan to change people’s minds forever. Similarly, all it takes is one Deborah, one Esther, one Phoebe, one Junia or one of a host of other women the Bible mentions, or who appear in the pages of history, to demonstrate that God's calling on a person's life is not based on gender, but on character and the gifts he has given them, and their willingness to surrender their lives to him. Several years ago, recognizing that the role of a woman in leadership is often a lonely one, six women began meeting via conference call as a means of peer-mentoring. Our conversation frequently turned to the challenges women face. As we looked at a number of topics together--the role of women in revivals, what God is doing around the world with women--we began to wonder what we could do to help other women. When twelve women came together for a weekend to discuss this issue, the Lord made something very plain. We were not to go it alone. As we studied the story of Barak and Deborah, we realized that we women need men with us--that if we try to do something as a group of women, we would be perceived as feminists with an axe to grind, but if men stand with us, there is potential for a Kingdom movement. And so when we eventually decided to write a book, we asked several men who we know feel deeply about these issues to contribute. We are so grateful that they are willing, like Barak, to go into battle with us. Movements begin when a tipping point is reached--when enough people change both their thinking and practices. Currently there is a groundswell of interest in the role of women in the Kingdom. The conversation about gender is heating up. Theologians are studying it; authors are writing books; conferences have been convened. It appears that God is up to something. A huge potential for movement exists when men and women synergistically co-labor together for the Kingdom. Could this be one of the next moves of the Holy Spirit? 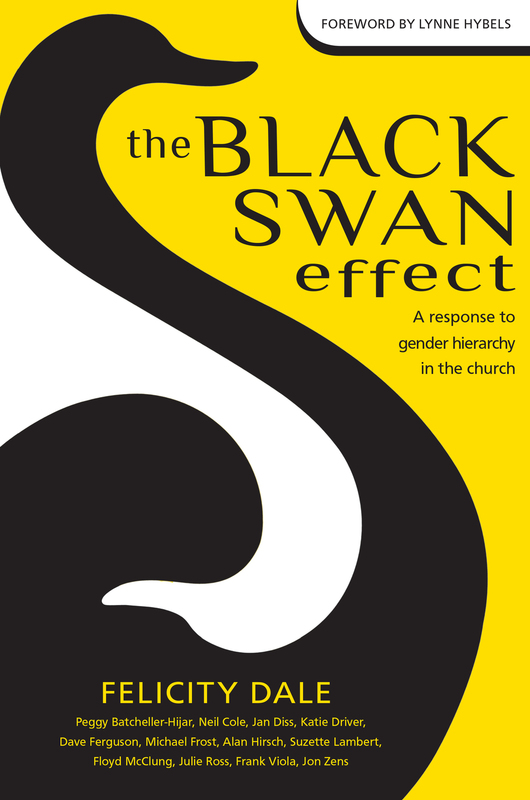 Fourteen authors, both men and women, have contributed to The Black Swan Effect: A response to gender hierarchy in the church. These authors come from differing church backgrounds, but all of them have, for one reason and another, looked at this topic in depth. You'll enjoy their stories, gain insight from their ideas, and together, their contributions create a broad-sweeping look at gender roles in the church. The book itself is a demonstration of men and women working together. You have a passion for mission: There is probably no better way to double the size of God's missions workforce than to fully deploy women to use their spiritual gifts and God-given capacities. The Great Commission is a command for every follower of Jesus. You are asking theological questions: There are undoubtedly some difficult passages of Scripture that appear to limit the role of women. But what if these verses could, with equal integrity, be interpreted differently? How would this change things? And what does the Bible as a whole have to say? You are drawn to issues related to justice and human dignity: Around the world and down through history, women have been abused-- gang-raped, tortured, aborted, mutilated, beaten, and discriminated against in every way. How should the church respond, and what should she do about the injustice that occurs within her walls? The Black Swan Effect is now available on Amazon. It's both a paperback book and digital book for Kindle. Enjoy!